You might not think that Twitter is the best marketing tool for your physical therapist clinic. The reality is with 316 million people using Twitter every month; you have an incredibly good chance of reaching out to the people that are in need of your services. In order to reach those people, however, you need to be on Twitter and gain as many followers as possible. The following are a few tips you can utilize to establish your Twitter account and maximize the number of people that follow your Twitter account. This is the most obvious step. In order for people to follow you, you need to set up your Twitter account. When choosing your Twitter handle ensure you pick a handle related to your clinic or yourself. Using your name as well as a photo of yourself for your profile picture will make you real to potential clients. Additionally, when setting up your profile, write a brief description of services you offer. These things let your followers or potential followers know who you are and how they can benefit using your services. With your Twitter account successfully established, you need to start acquiring followers. One way to do this is to sync your Twitter account with your email contacts. This will provide you a base of followers as well as give the staff at Twitter the ability to give you a list of recommended followers. Another way to get people to follow you is to put your handle or username everywhere that people interested in your business might see it. One of the first places you want to put your @username is on your website. 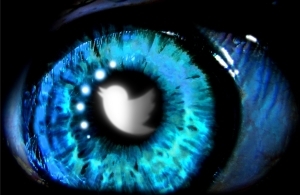 When people are on your website, they will see your Twitter username and follow it. Other places where you can put your Twitter handle is on your business cards and even signage in your PT clinic. If you offer assorted pamphlets in your clinic, they are a great additional location where you can put your Twitter handle. If you are new to Twitter, learn the power of hashtags and retweets. An important hashtag for the physical therapy field is #physicaltherapy. When sending out tweets to your followers add that hashtag to the end of your tweets. Another option might include #PTclinic. Using the proper hashtags will help other people following that hashtag, to see your tweet and in turn, follow your Twitter account. Retweeting is the idea of resending a tweet already sent by yourself, a follower, or someone you follow. When your followers retweet your tweets it can help you reach more people and help you gain more followers. When using Twitter send out relevant information to your clinic. If you have an opening due to a late cancellation, tweet about the opening. Tweet about relevant topics, the services you offer, and you can even request feedback from your clients. If a follower tweets about a question or concern, do not neglect the tweet. Interaction with your followers will let people know that you care about their needs. It is also people to ask open-ended questions of your followers to stimulate conversation. This will help you get input you need to improve your business but also help others join the conversation. One thing that you must not do is buy followers. Lots of physical therapists, and indeed other businesses, fall for 'Follow Back' tweets or are tempted to buy thousands of followers from a dubious source. This is ultimately pointless. Having thousands of followers means nothing if none of them are real – all you would be doing is tweeting to dead air and nobody would get to see your message. Make sure that you use only ethical tactics to grow your Twitter following. Using a Twitter account for a physical therapy clinic is a great way to get information about you and the services you offer out to the masses. Learning how to use it properly to your advantage will result in helping people that need your services as well as yourself. If you need help in getting the most from Twitter and other social media platforms, then PatientSites can help. Why not register for your free demonstration today?